We are a lucky generation that saw the huge wide world shrink into a global village and, thanks to the many significant inventions of our time, found learning more fun than ever. We know we are a privileged lot, and so our foremost gratitude goes to those who helped us come together, work together, and in the end made our voice heard all over cyberspace. The Magic Diary family, who came together to be part of this unifying, global, collaborative effort in storytelling, owe a lot to one Coursera writing program and its chief instructor, Dr Denise Comer from Duke University. That is where we met, albeit virtually, and in a matter of a few weeks’ time, in its nurturing environment of personalised training and counselling, bonded easily enough to take the decision to do something more meaningful with our learning and creativity. We are likewise grateful to the Coursera founders Andrew Ng and Daphne Koller for creating such an excellent platform of worldwide learning. None of what we have achieved today would have been possible without the happy synergy of its members, which I wish to acknowledge with great gratitude. It has been an intensively interactive and participative project where each and every member contributed to its build-up in some ways or the other. They lend their expertise, their valuable time, and more importantly their unstinting support to create magic out of a nebulous idea. Since the project was inspired by the structure of a massive open online courses (MOOC), it was designed meticulously on those lines, with utmost care given to the process of peer learning and reviewing. Every idea, article, and story in this book was discussed with suggestions to rewrite them before the final submission was made. I am grateful to the core group of editors, Nancy Pocklington, Lorinna Hastings, Elin Babcock, Lynda Cramer, and Jenny Joy Wrenn who mentored the writers from different continents, while the rest of the team critiqued the first drafts. Nancy and Lynda showed immense patience working through the second drafts and Danica LeBlanc and Reina Wang did a marvelous job in ensuring all niggling errors were eliminated from the final drafts. Lorinna was quick to pen interesting blurbs for our webpage. An artist, she gave us several artworks to go with the stories. But more importantly, she introduced us to Pat Southern-Pearce, amongst others, an immensely well-known and talented artist from the UK, who soon became an invaluable family member. The beautiful cityscapes in our promo materials and our site are courtesy her. She certainly added a new dimension to the storytelling and we cannot thank her enough for her selfless contribution. It is interesting how the project shaped up slowly over a period of time. Zoha Khan, Mane Mehrabian, Johannes Halim, Lim Soo Hoon, Nella Vladim, Peter Chikoyi, Ignaty Cherry, David Larkin, Tisha Shibchurn, Ry Auscitte, Anthony Kolasny helped to keep spirits up on the FB, supporting us from the wings with valuable suggestions; several others from Afghanistan, Iran, Morocco, and China, who were restricted by the firewalls, expressed their solidarity by writing to us regularly. Over the months that we worked together, deliberating, planning, writing, and rewriting, we progressed and grew not just as writers, and professionals, but also as good friends, respectful of our differences. After several drafts when the project started coming together, we invited other writers to join in. We are grateful to each one who happily volunteered to be part our family. From America, Australia, Denmark, France, Hungary, Belgium, Scotland, England, Ireland, Sri Lanka, Afghanistan, Bangladesh and Japan, they sent their stories, some very senior published authors among them. We are especially grateful to Freya Watson, Vibeke Mouridsen and James Vance. The energy flowed beautifully until the Magic Diary was bursting at its seams and it was time to stop. It was decided that the Magic Diary will continue to visit places far and wide, collecting stories from unknown scribes and present them in volumes hereafter. More people joined us when we sought professional help to bring this project to its logical end and that list keeps growing. I acknowledge with great gratitude each one who helped me put this together: Misha Oberoi for her lovely design and layout of the three volumes of the book and our recipe collection; K.E. Priyamvada for gleaning through the final edition; Bhagat and Evy Pun, for working gratis on the audio, and of course our own team members: Elin Babcock for giving us a lovely opening poem, Cristina Costea for helping us with the promo video, Danica for giving us a beautiful webpage and Reina Wang for being the ever supportive sweetheart, assisting with the smallest things alongside her busy schedule at school. Since we wanted our book to be distributed globally, the easiest way out was to self-publish. We wish to thank friends and mentors who believed in us and supported this project with valuable suggestions. This collection has its own unique archival value was the overall consensus. Editor, Penguin Random House, India, Tarini Uppal’s encouraging words kept us going: ‘The Magic Diary is indeed a very unique and interesting idea,’ she assured. For that alone it ought to be preserved, as also for the warmth, love, and creativity it managed to generate across borders. After months of energetic exchanges, compilation, editing, re-editing, it is time to present the diary. We are grateful to eminent art critic and historian, Dr B.N. Goswami who suggested we name the collection, ‘A Pocketful of Dreams’, with a lovely lyrical lilt to it. It certainly made a difference. We are also grateful to the renowned poet Keki N. Daruwalla for allowing us to use his famous poem Map-maker, in acknowledgement of our effort. We are also grateful to Author James Smith, for mentoring us through the early phase. The Magic Diary was conceived as a timeless journey through the world, and as the steward of this magnificent task I am grateful for the experience it offered to travel its amazing path. It stands as an example of positive, healing, creative force that can move mountains. 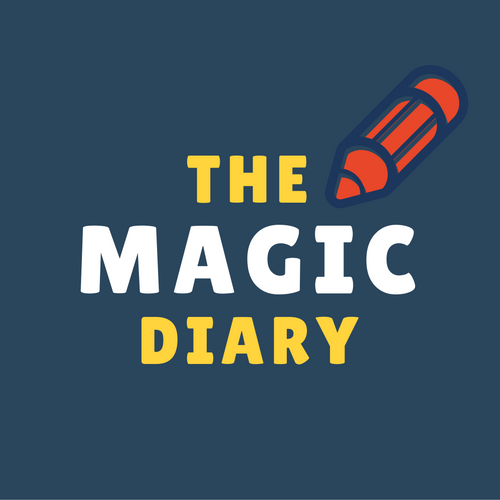 On behalf of the entire Magic Diary family, I wish to thank our readers from the bottom of our hearts. We are honored to have you notice our effort and shower us with your affection. By picking up our book you automatically become a part of this lovely global family, and your contribution add up to the coffer we have pledged towards community building and innovative education. I am sure our combined energy will see many hopeful seeds blossom. Meanwhile, write your tale and mail us a copy. The top stories from each continent will be published in our forthcoming volumes and we shall contribute every penny to Room To Read. Spread the love; enjoy the magic.